As parents, we want the best for our kids. In our anxiety to get them the best toy or the best education possible, we may be overlooking the one thing that may lead to our kids having the best childhood possible. This one factor is the family environment. Research over many decades have shown that the kind of environment in which a child grows up has one of the most significant influences on his/her childhood as well as adult life. 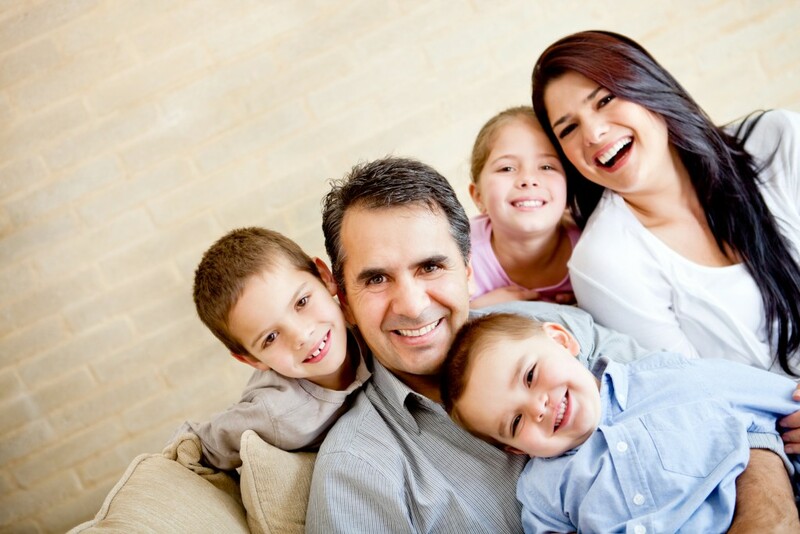 So, what are the characteristics of a family environment that ensures optimal growth for kids? Emotionally healthy families have conflicts once in a while. It is normal. What is not normal is the kind of family where conflicts are suppressed and an artificial peace prevails. Kids who see parents fight over differences of opinion, and then resolving their differences, are watching real life at close quarters. However, this is not to say that kids should watch conflicts every day. in fact, A University of Illinois study review revealed that kids from families where parents constantly fought with each other or were passive aggressive, performed poorly in schools, as well as in adult life. Another study has found that adults who had unhappy childhoods as a result of conflict between parents still reported distress and pain. Frequent conflicts definitely have a detrimental effect on kids’ wellbeing, both during childhood, and much later in adult hood. Emotionally healthy children grow up in families where there is mutual respect. There are no rude words or bad words used in such families, and every one’s rights are respected, and responsibilities are honored. No bullying is tolerated. When children do disrespect or use inappropriate language, parents step in and correct them. From such an environment, children learn how to live in an adult world, giving and receiving respect. Kids who grow up in families where parents read and discuss major world events, tend to do well in school and have a broader world view than those who do not. One factor that is important here is the Self Improvement Tips that everyone should know. Mothers who were college degree holders were more likely to bring up kids who attained the same qualification or higher, according to Sandra Tang, a University of Michigan psychologist. This could be related to the kind of language used during interactions at home, as well as the emphasis on reading and other academic activities that are likely to be found when parents are highly educated. Harvard business school researchers have found that kids growing up with mothers who work outside home had a significant advantage. This was true of girls and boys who grew up seeing their mums earning a stable income and being financially independent. However, in the case of families where the working mothers were stressed out juggling both work and home, it often had the opposite effect, leading to kids being less cared for and emotionally neglected. It appears that families where both the parents shared responsibilities equally had the most favorable environments for kids to grow up as emotionally stable and broadminded adults. Unpredictability causes confusion in kids’ lives. Parents of successful kids establish rules early, though they get flexible with rules once in a while. Bed time, sleeping hours, time spent on the laptop – all these potentially contentious issues are regulated by rules in an orderly household, and kids growing up in such homes have a higher chance of keeping to rules and schedules in school as well as in adult life. Another area where rules are very helpful is healthy eating. An example is parents insisting on kids eating home cooked food, and avoiding junk food as far as possible. Parents who give ample opportunity to their children to develop social skills from a very young age usually will see their kids developing successful relationships later in life. This could begin by sharing toys with visiting friends, as toddlers. A 20 year study by Pennsylvania State University and Duke University researchers revealed that kids who were helpful to others, could understand and respond to others’ feelings, and cooperated with peers without being told, were much more likely to have a full-time job by the time they were 25, than those with limited social skills. University of California researchers have found in a study of more than 6500 kids, that parents who are high expectations from their kids often see their kids fulfill their predictions. One of the reasons for this was that parents who had high expectations often had the means to fulfil those expectations in terms of socio-economic status. However, this is not the only reason, since it has been shown that kids from financially backward families have also done well, given the right kind of guidance and care. Thus, the key factor here is the kind of vision the parent has about the child. Parents of successful kids know who their friends are, who their teachers are, and what kind of life they lead in school. This is not a recommendation for helicopter parenting, but a balanced involvement in kids’ lives is a major positive factor in bringing up successful kids. Such parents have a higher chance of knowing what kind of online activities the child is onto when he/she reaches teen years. They are also more likely to emotionally closer as the child grows into adulthood. Birthday parties play a big role in the development of children’s lives as well. Make sure you go above and beyond when it comes to your kid’s parties. Families that insist on orderliness and neatness are likely to have kids who have an organized life, and can manage their time successfully. Very often, teaching organization comes down to small habits such as having a place for each thing in the house, and putting back something where you took it from. Children who can keep their cupboards and drawers in an organized and neat way by themselves very often can lead an organized life later on in life. What are your ideas on the ideal family environments for kids? Do share.